Anyone can write a legal blog post, right? However, attorneys who don’t have a solid understanding of search engine optimization (SEO) will write legal blog articles that leave marketing points on the table by not using up-to-date SEO techniques. They can even hurt their website’s online presence by using obsolete, “black hat” SEO methods, like keyword stuffing, that search engines have gotten wise to. Unfortunately, those SEO professionals who do understand these marketing techniques are unlikely to have the legal knowledge to write an accurate legal blog post. This can be disastrous, if your law firm hosts articles in its blog that are legally incorrect. Myers Freelance spans both areas of expertise. As SEO experts, we know how to score all the points for your law firm’s website online, boosting it higher in search engine results pages. Additionally, all of our writers have legal degrees and experience in the legal field, so we know how to research, synthesize, and write about complex legal topics. Here’s an example of the kind of work that we can provide: A sample legal blog post for an immigration law blog. In the House of Representatives, a pair of Democrats – Zoe Lofgren (D-Calif.) and immigration reform advocate Luis Gutierrez (D-Ill.) have introduced the Entrepreneurial Businesses Creating Jobs Act of 2015 (EB-JOBS Act of 2015). The bill would completely revamp the current visa process for migrants coming to the United States to start their own business by creating two new visa categories. However, while the Act would pay closer attention to the funding sources of immigrant entrepreneurs and give them new avenues of opportunity, it is unlikely to pass through a Republican-dominated House. 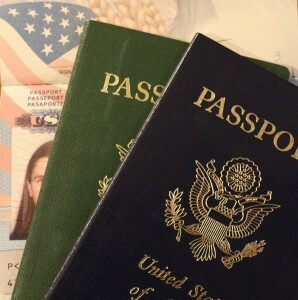 The proposed EB-JOBS Act of 2015 would create two visa categories: The EB-6 visa, and the EB-7 visa. The EB-6 would allow migrants to get a conditional green card for two years, if their business venture has enough financial backing, or if it has already created enough jobs for U.S. workers. These restrictions on the visa would be lifted, however, if the business raises enough money or employs enough U.S. workers. The EB-7 visa, on the other hand, would be available to current EB-2 visa holders who have managed to keep their EB-2 status for at least ten years, and who have created jobs for enough U.S. workers over that timeframe. Like all immigration bills that deal with the economy, the EB-JOBS Act of 2015 has to toe a fine line between building the strength of the U.S. economy, and protecting national security interests. The EB-JOBS Act of 2015, however, is also an attempt to rectify three other issues – the expiration of the current EB-5 visa program, the potential for hostile organizations using the visa program to attack the U.S., and the difficulty that worthy immigrants face when they want to start a business that would benefit U.S. workers. The proposed bill would grant a limited citizenship to more migrants who have shown the ability to help U.S. workers find jobs, and build the country’s economy. However, it would also more closely monitor the sources of financial investment than earlier visa programs had, in the past. Unfortunately, immigration reform bills proposed by Democrats in the Republican-controlled House of Representatives stand little hope of success. However, there might be an outside chance that the EB-JOBS Act of 2015 can overcome this trend. Republicans have been planning extensive reforms of their own to what they see as suspect immigration policies, and the current EB-5 visa program has long been a target for their criticism. Representatives Lofgren and Gutierrez likely see this as an opportunity to advocate for their own reforms. This blog post finds a seam between evergreen and topical content by focusing on current, but slow-moving, developments in a huge piece of immigration law practice. As a result, it will draw more traffic than a typical evergreen piece on, say, visa applications, but will have a longer shelf life than a piece analyzing an upcoming immigration case. Additionally, this article can be used as a broad overview of the EB-JOBS Act of 2015. It doesn’t go into much detail at all, but still comes out at 430 words, and this does not even include your firm’s call to action, which would approach the golden number for blog posts – 500. Subsequent posts can delve into the details that this article left out, like the requirements for an EB-6 visa, or eligible sources of funding, or the EB-2 visa holders who would be able to pursue the new EB-7. There are numerous areas that can be expanded upon in other posts, which can then be linked to from this one, creating a web of related content that readers can explore. The longer they stay on your page, and the more internal links they click on, the better it is for your search engine ranking. That’s what Myers Freelance can do. Through nuanced and expert planning, and emphatic execution, we build your firm’s online presence by improving its search engine ranking, which increases traffic, fills your client book, and makes your bottom line grow. Contact us today.